Here's your opportunity to become part of the Wigzi family at a 25% savings! Take advantage today! We will drop ship for a $3 fee. Flat rate shipping of $20 for orders in the contiguous US. Sorry we cannot ship to international addresses. Accepts Visa. MC, & Amex. Please no eBay or Amazon sales. New Accounts can save a total of 10% Off! May not be combined with other offers. Only valid for new account initial orders. Discount will be applied to qualifying orders after checkout. Coupon Code "NewAccount". Participating stores have access to all of the support features of this program below. Please contact Nathan at Wigzi 571.257.3328 or nathan@wigzi.com to be setup with this program. New Programs take up to three weeks to implement fully. Fast tracked programs are possible within seven days. Demo sample: Key features of the product for each store. Competitive retail pricing brief overview. Direct product mailed donations for participating store adoption events. 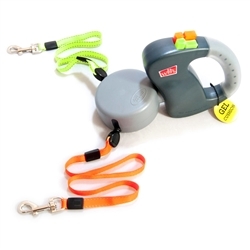 Direct product mailed donations for participating store puppy training. 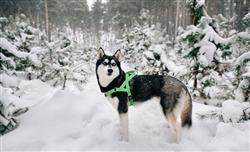 General donations to local animal rescue on behalf of store. Wobblers and or POP signage available. Shirts, buttons, mugs, hats, pens available. Nathan Chefetz and Cade Goldenberg, co-founders of Wigzi, became friends after several run-ins while walking their dogs Sonny and Wyatt. It didn't take long for Nathan and Cade to realize that both shared a passion for innovation and problem-solving, and what better inspiration than the dogs who brought them together? They channeled their business education backgrounds, and the ideas started flowing. Within a few months, neighbors and dogs began to share in the enthusiasm and encouraged Nathan and Cade to start a pet products company. They decided to take the plunge in 2007 and Wigzi was officially born. 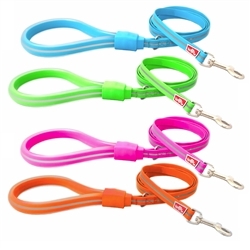 Wigzi has evolved into today's thriving pet leash enterprise, but it initially began as a pet toy products company. 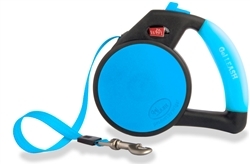 Wigzi is now focused its expertise on the dog leash market and absolutely love it. 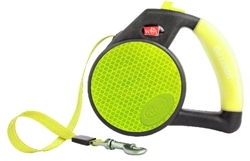 Each product is invented, designed and tested in the USA and made in China. 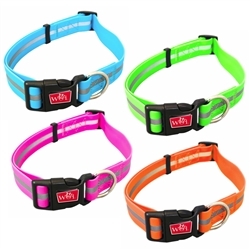 Wigzi is 100% committed to quality and innovative leashes for your pup. 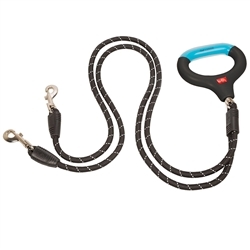 Our leashes are of the highest quality with customers' and pups' needs in mind. We will continue to impress you with great innovations for years to come.